Do you yearn for the remarkably elegant and simple quality of feeling close to the water and nature, of relaxation and fun on the high seas? This is exactly what SACS “rubber“ boats offers you and much more. Why is the word rubber in quotation marks? Don't imagine small inflatable rafts but rather boats with a solid fibreglass construction. They also have inflatable cushions on the sides, which, in comparison to ordinary boats, guarantee you numerous advantages. Incomparably better stability and manoeuvrability. 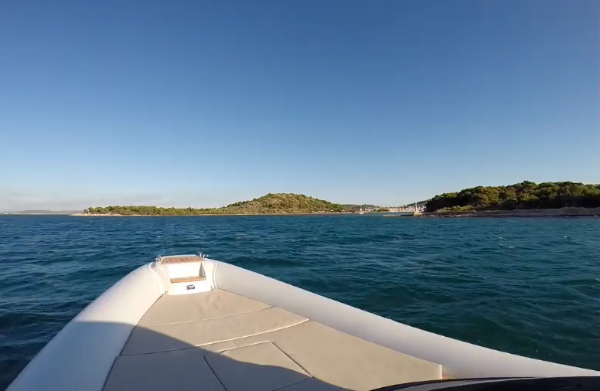 - There is up to 30% more usable space on the boat – you can lie down or sit on the wide cushions, sunbathe with your hands and feet dangling in the sea. 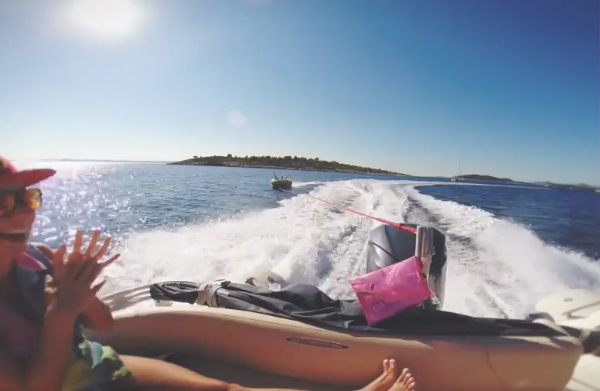 Your children will certainly appreciate the soft, bouncy cushions around the entire boat when jumping into the water. - They allow you to be as close as possible to the sea. 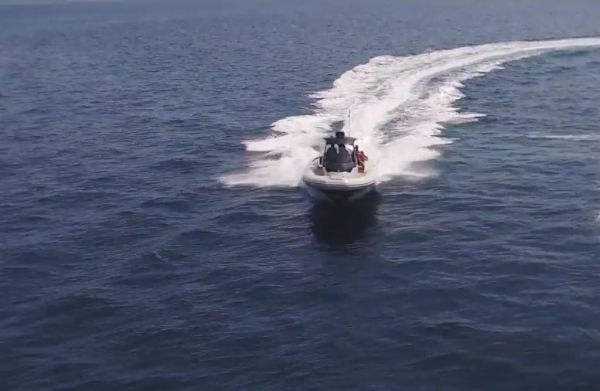 - Greater capacity – it is not just by chance that all military and rescue boats are “rubber”. For example a 7.5 m “rubber raft” can hold up to 1,800 kg and carry up to 18 adults. - The air-bags around the entire boat will also facilitate docking, fuelling, and anchoring as they also act as fenders, which you always have with you. You don't have to worry about scratches or damage to the boat. 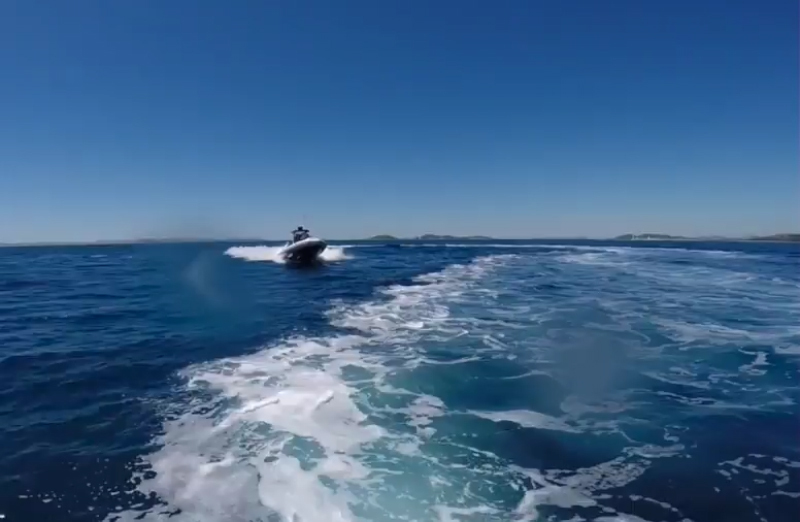 Can you even imagine the freedom that a small motor boat gives you on the sea? Forget about the rocky beaches and expensive vacations, which offer you nothing more than overeating and sweating in the sun. - Set off to a secluded cove, cruise around the island of your choice or enjoy water sports. 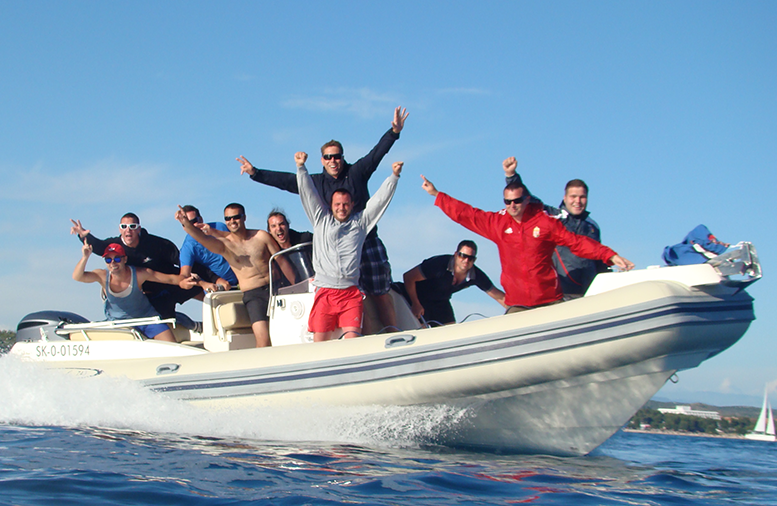 The experiences you can have on the water are incomparable to what any 5-star ALL INCLUSIVE hotel has to offer. Have you always wanted to see dolphins up close? We see them on nearly every cruise. Dolphins are friendly and come right up to the boat to greet you, especially in the evening when the sea is calm. You don't have to travel far. Croatia is an excellent destination. Did you know that in central Dalmatia, between Zadar and Sibenik, you can find at least eight bays with white sandy beaches and turquoise water? 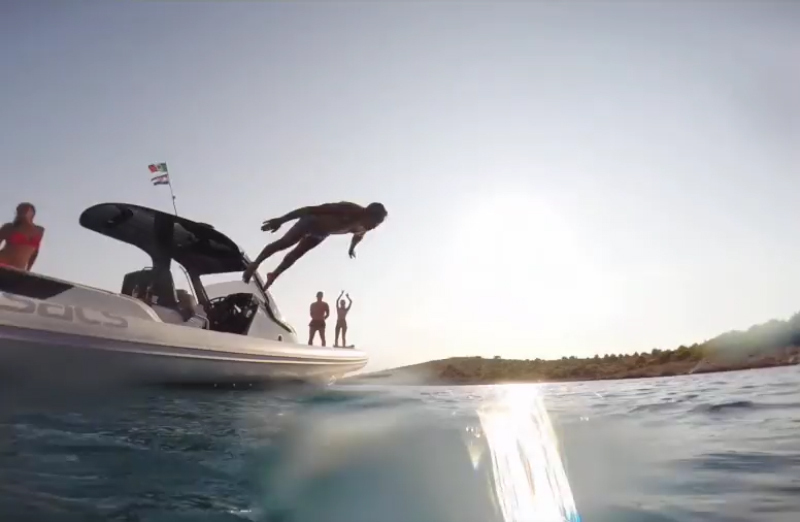 And what would your day look like on a boat in Croatia? Exactly like ours with SACS. Right after breakfast we hop into the boat and head off for an island. We anchor in a pretty cove, swim, relax and sunbathe. 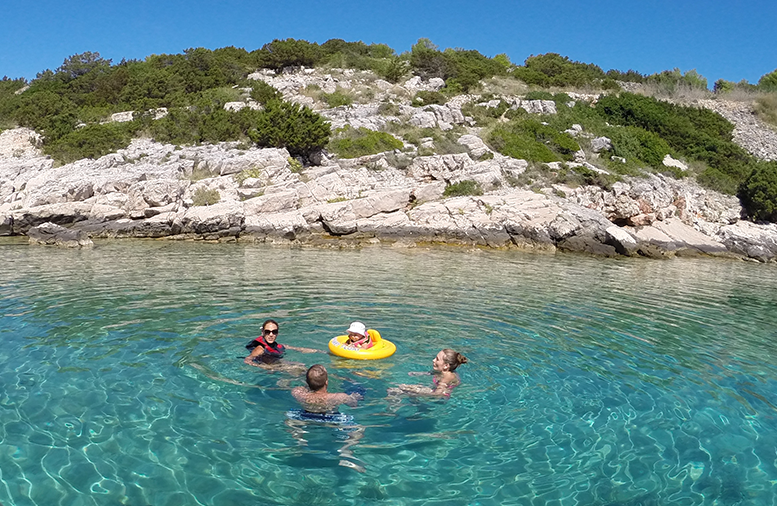 After snorkelling, everyone is hungry, so we head off for another island in the KORNATI national park. As a result of our many travels, we are already very well acquainted with the owners of several small restaurants. They are mostly small fish shacks open and inhabited only during the summer months. 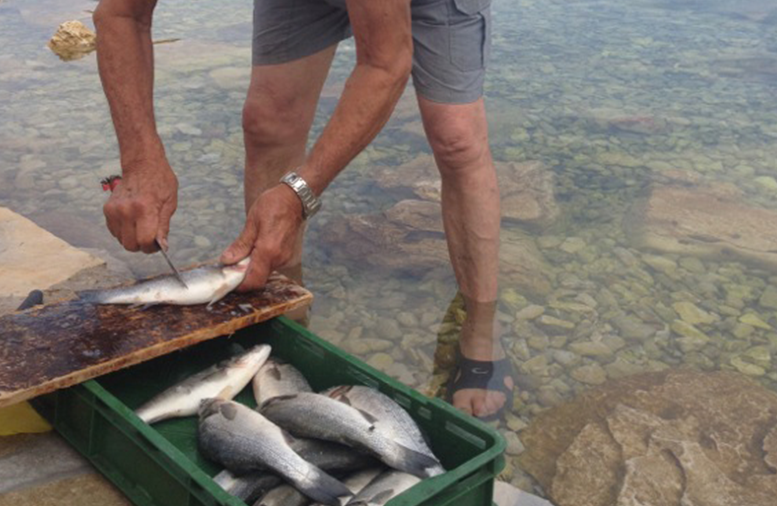 The owner's father goes fishing every morning and his catch is prepared fresh for us on the grill. The only ingredients used while preparing the fish are LOCAL olive oil and sea salt. And, of course, the meal is accompanied by home-made liqueur, which is distilled on the island. The sun slowly sets over our heads as we make our way back to the marina. 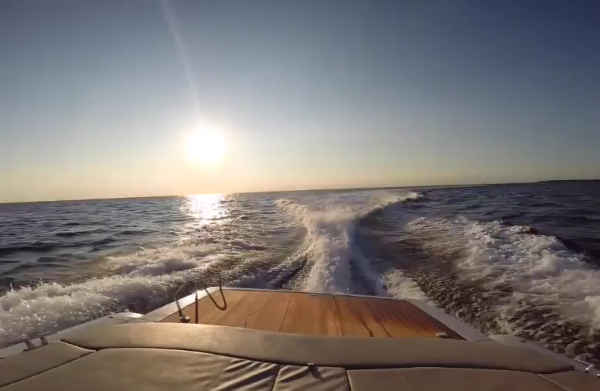 If you choose a boat with a cabin, then you can enjoy the sunset right from the boat.